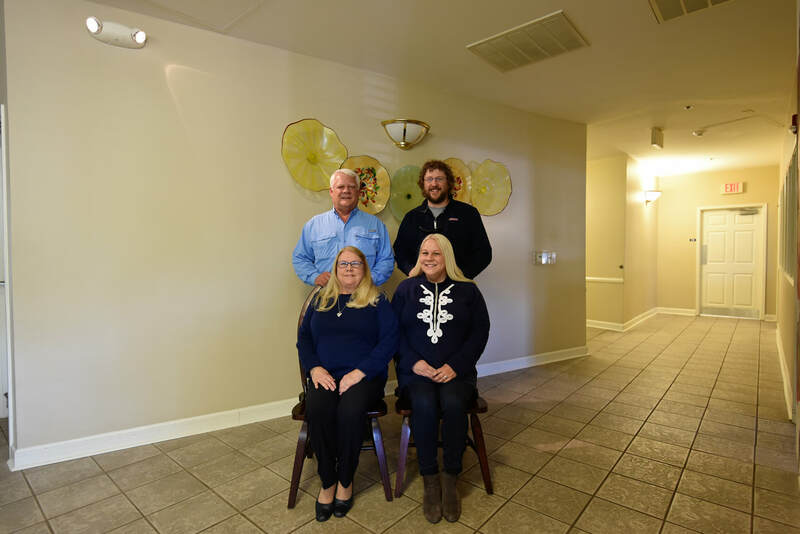 Seguin Assisted Living opened on April 4, 2000, with owners Billy G. Belcher, wife Norma Belcher and daughter Karen Taylor. 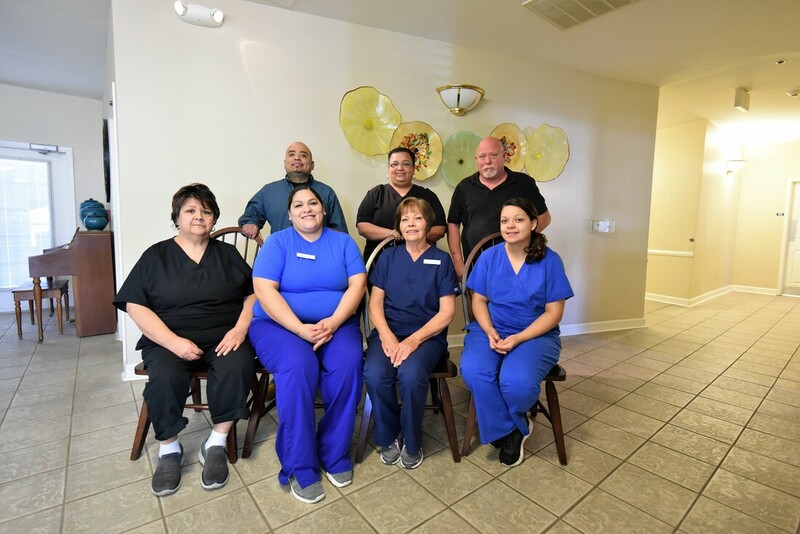 Billy and Norma Belcher were in the nursing home business for 20 years, owning and operating nursing homes in Seguin, Stockdale, Floresville, and Goliad. Upon graduation from Southwest Texas State University, now Texas State University, Karen joined her dad in the nursing home business as the dietitian for his homes. Billy sold his business and retired in 1980 and Karen went on to work in area nursing homes as the consultant dietitian for 23 years. In 1998 Billy suggested the idea of assisted living to Karen. She attended the Assisted Living licensing class at Texas State University, received the ALF license and began researching plans for Seguin Assisted Living. In May 1999 ground was broken. 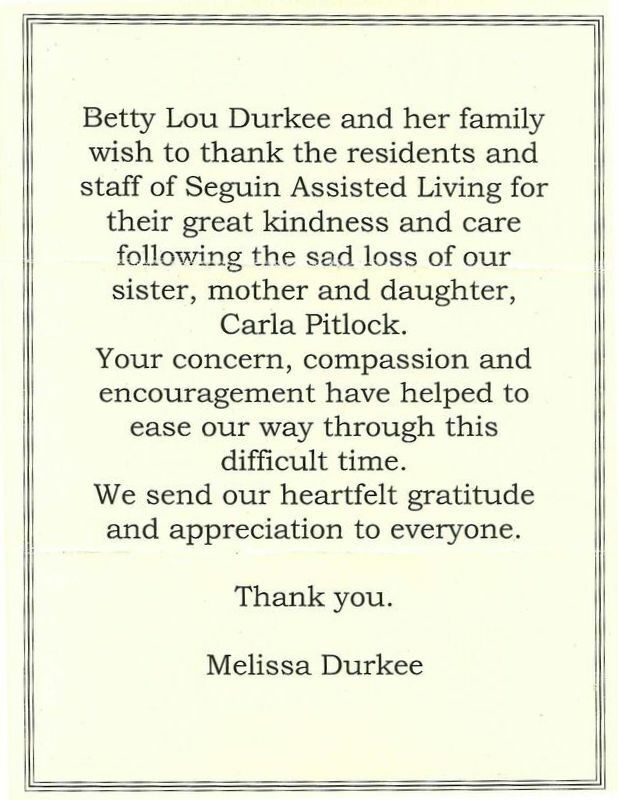 Seguin Assisted Living opened in 2000 offering 30 apartments. By February 2001 plans were underway to expand by adding 20 apartments and those opened in September 2002. In May 2005 upon graduation from Texas State University, Lindsey Knight joined the family business. In July 2007 Karen and her husband Larry bought out Billy and Norma. Billy and Norma were well known for having superior nursing homes and that reputation was remembered by the community and area when SAL opened. Norma and Karen developed the menus and have placed great emphasis on the quality of meals served. ​​There is much pride in the family owned and operated business. Residents and family know that we are available and they can communicate with us on a daily basis. Karen Taylor, owner and administrator of Seguin Assisted Living, and her daughter, Lindsey Knight, assistant administrator, are long-time Seguin residents. 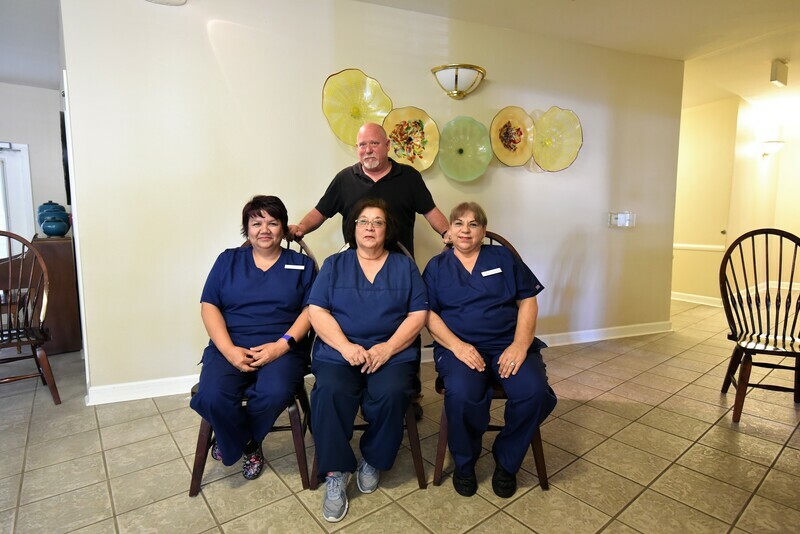 Both Karen and Lindsey received degrees from Texas State University - San Marcos and are licensed to manage assisted living facilities by the Center for Health Services Education and Research. 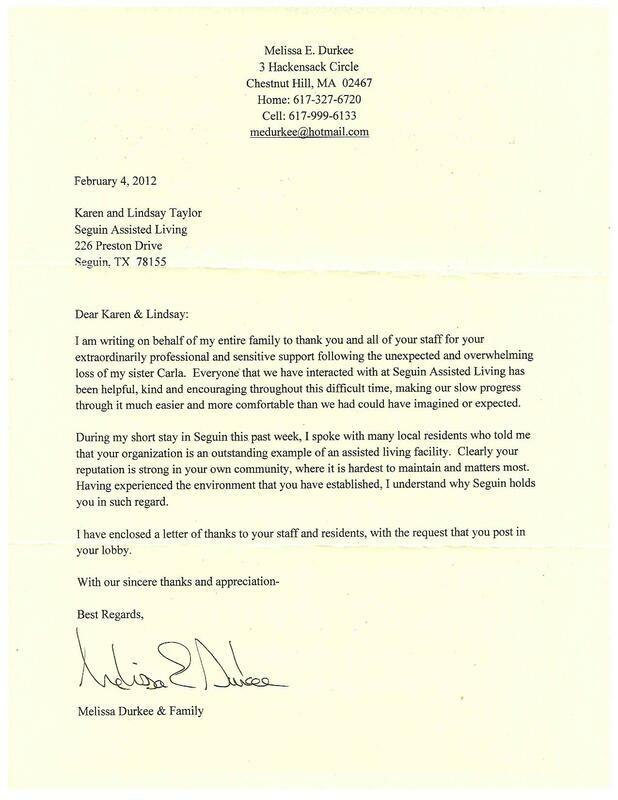 The staff at Seguin Assisted Living is our family. 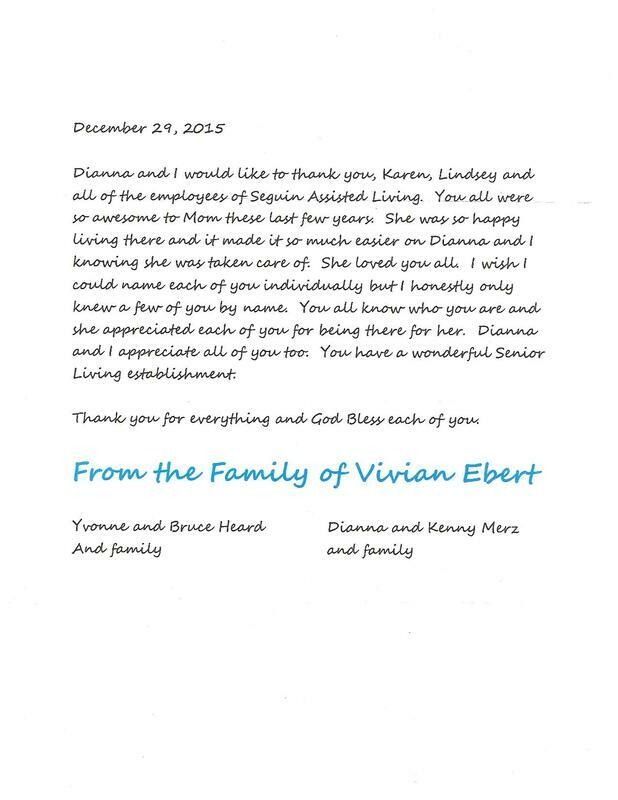 We are family owned and operated and everyone working with us or living in our facility becomes our family. 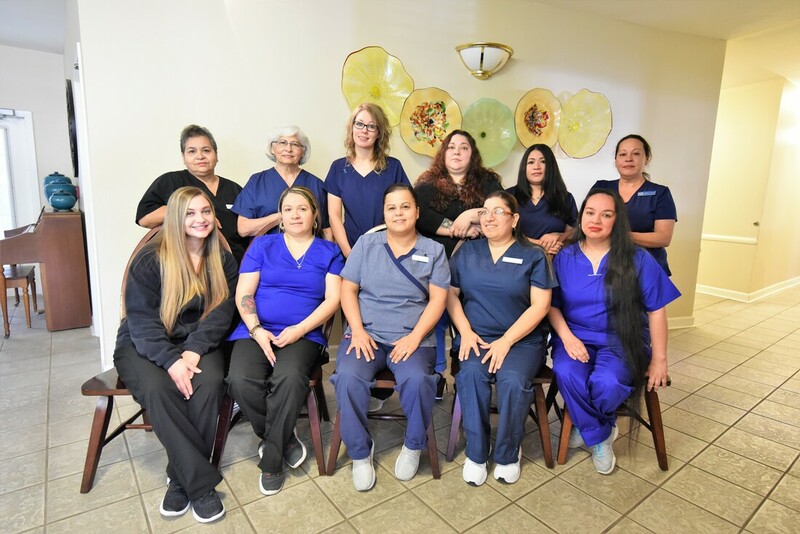 We take much pride in what we do and our goal is to maintain long lasting relationships with both our staff and residents and their families. Our Staff is well trained and ready to assist you with anything you might need. 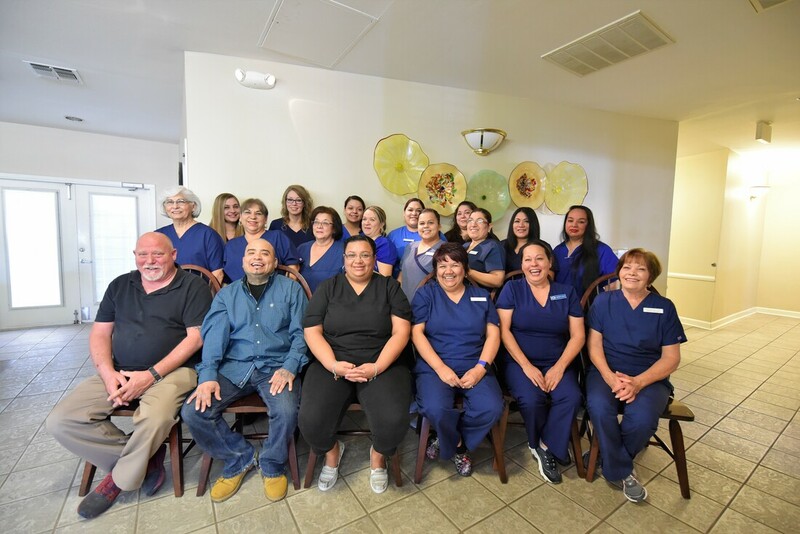 Staff at Seguin Assisted Living goes through 20 mandated hands on training and orientation before being allowed to work with residents independently. Training is all outlined by Texas Health and Human Services. Staff also receives monthly training. ​Background checks are performed on all staff prior to hire and randomly throughout the year. Nurse’s aide registries are checked prior to hire and conducted yearly.